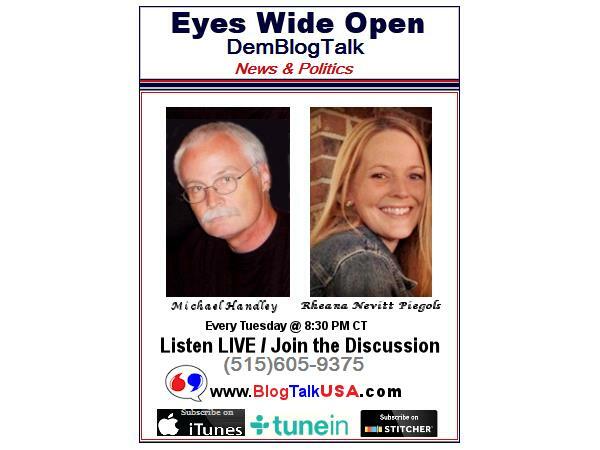 Tune in to Eyes Wide Open: DemBlogTalk on BlogTalk USA (and visit DemBlogNews) for current events in the news and politics! Tonight: We will be joined once again by our friend and 2018 Democratic candidate for Texas Lt.Governor, Mike Collier! Mike will talk to us about his newly published book, fill us in on what he is hearing and learning on his continued listening tour around Texas, and of course we will discuss the Texas economic miracle that's not.